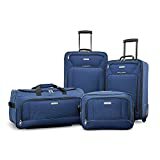 With an extra-large 28-inch size compartment, the AmazonBasics luggage is ideal for individuals looking for a serious packing space. If you are looking to go on a trip lasting longer than a week, or an extended vacation with your family, this luggage is perfect for you. The luggage also comes with a durable zipper for unfailing closure. If needed, you can take advantage of the luggage’s expandable design that offers up to 15 percent more packing space to pack more things. With a durable tear-resistant fabrication and a lightweight construction, the U.S Traveler New Yorker luggage is a perfect option if you are looking for functionality and quality that gives you peace of mind. It is also perfect if you are looking to carry another bag thanks to the add-a-bag strap that lets you carry an additional bag effortlessly. The luggage’s expandable design offers you an additional 25 percent storage room. 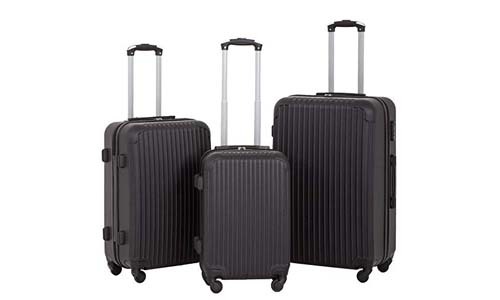 With 3 upright rolling bags and 1 travel tote, the 4-piece Travelers Choice Amsterdam luggage set is ideal if you are looking for versatility, luxury and durability. The deluxe internal retractable push-button button handle system makes it easy to use the luggage as you can easily extract or retract the handle with one hand. 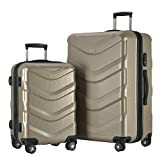 Other exceptional features of this luggage include in-line skate wheels with corner protectors, multiple front zippered pockets and expandable design that offer 30 percent more packing capacity. 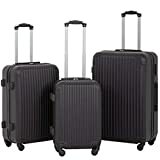 If you are looking for a luggage set that can handle 50lbs with ease, you should consider the 3 Piece Suitcase Spinner Travel Carry luggage set. The luggage set has been thoroughly tested to ensure that it surpasses the stress test of 50lbs on a single wheel drop and handle the test. 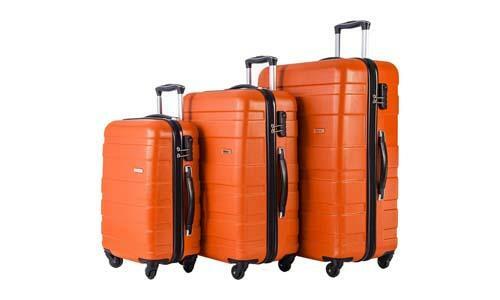 With this luggage, you can be sure that it will not fail under pressure as it is solid enough to carry larger weight. 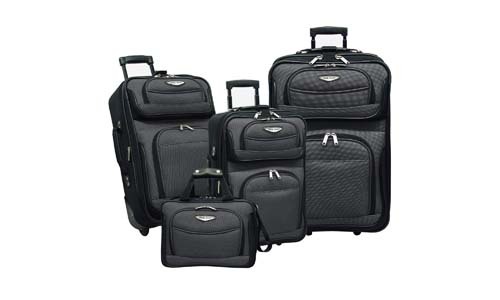 The luggage set is also waterproof and pressure resistant. It also comes with a sturdy aluminum telescoping handle and a soft side-handle for convenient lifting. 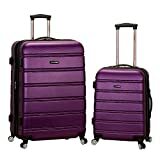 If you are looking for a lightweight luggage set that makes it easy and convenient to carry your essentials for a longer vacation, you should consider the Rockland Luggage 2-piece expandable spinner set. The luggage is made of extremely lightweight and durable ABS ensuring that your contents are protected without adding unnecessary weight. 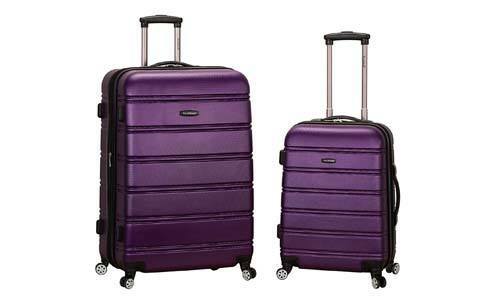 The luggage also comes with 8 multi-directional spinner wheels that rotate 360 degrees for easy maneuverability. With 3-size choices, the Merax MT Imagine luggage is ideal for travelers looking for functionality, reliability, comfort, and peace of mind. Whether you are looking for a luggage to check in, a luggage suitable for plane travel or a luggage for a longer vacation, you will find a perfect sized luggage with the Merax MT Imagine 3 piece suitcase. The luggage also comes with an adjustable 3-step telescoping handle system and a quiet airplane spinner for effortless movement. With a telescopic handle, expandable design and three internal organization pockets, the Rockland luggage set is designed for an experienced frequent traveler. The luggage is manufactured with a heavy duty EVA-molded hi-count fabric ensuring reliability and durability during your travels. Other highlights of this luggage include full lining, in line skate wheels, and ergonomic padded top and side grip handles. Built with 100 percent ABS material, the Fochier luggage is scratch resistant, lightweight and durable giving you peace of mind as you travel. The luggage also comes with a sturdy ergonomic aluminum telescopic handle system. 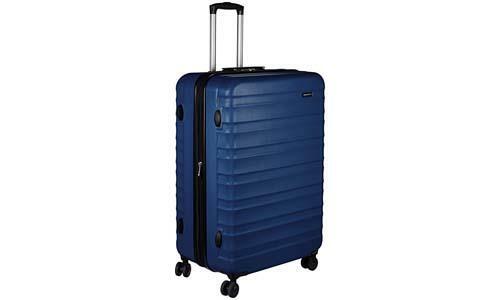 Other highlights of this luggage include multi-directional silent spinner wheels for effortless movement and fully lined interior with zippered pocket for easy organization. 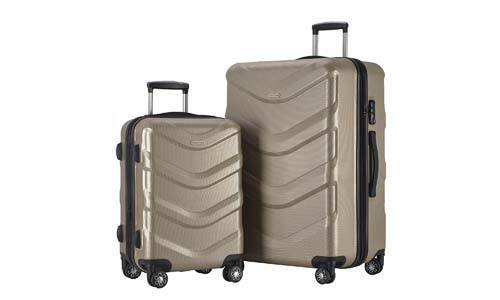 Featuring a 20-inch carry-on luggage and 28-inch upright luggage, the LUG2 RA8713 Champagne luggage set is built for personal and business travel. Built with the ABS material, the luggage is lightweight and resistance to high impact, which makes it ideal for a very demanding environment. The luggage also features a fully-lined interior with partitions, telescope handle and TSA locks. 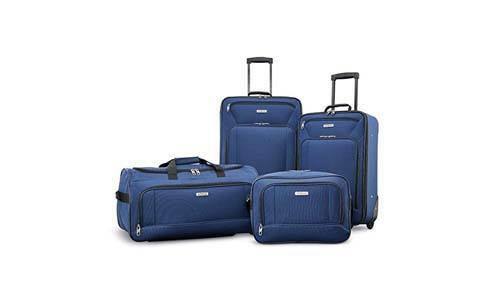 If you are looking for a one set that offers you many options, you should go for the American Tourister Fieldbrook XLT 4pc set. 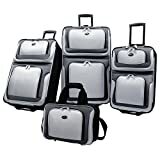 The luggage set comes with a boarding bag with multiple exterior and interior pockets to keep you organized, wheeled duffel with reinforced corners, 21-inch upright carry-on with a push-button locking handle and a 25-inch upright checked bag. If you do not have a proper understanding of the available options, the buying process can be very confusing. 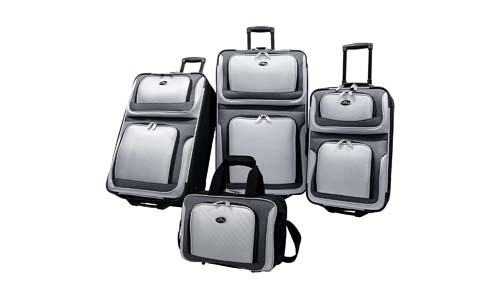 Luggage pieces come with various features such as retractable handles, back straps and wheels that make each luggage ideal for a specific application. It is also worth noting that these features can also have a different feel resulting in different experiences. For example, some luggage pieces have stiff wheels while other units come with wheels that can twist 360 degrees resulting in a different level of control as well as ease of movement. Generally, when it comes to the construction of a luggage, you will have to choose between a hard and a soft luggage. Soft luggage pieces are more common and they are more preferred by most people as they are easier to squeeze additional things into their overhead compartments. They are also better in absorbing shock and come in a wide variety of models. 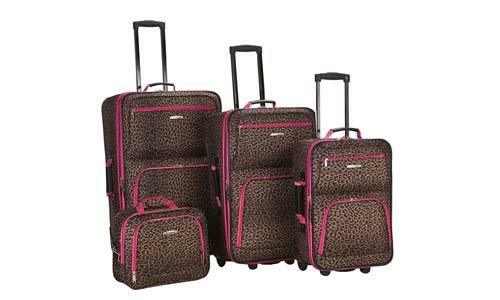 The hard sided luggage pieces are ideal in situations where you need to adhere to a specific weight. The hard-sided bags also protect fragile items better than soft bags. The ideal size of the luggage depends on how you will use the luggage. 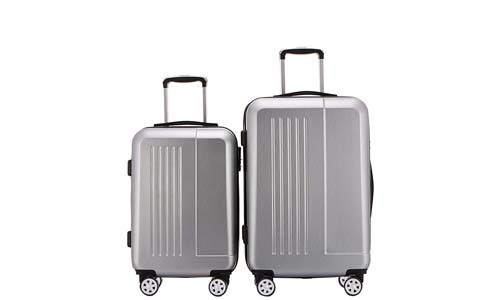 If you are looking for a carry-on luggage, you should make sure that the length plus width plus height should not exceed 45 inches while a checked luggage should not be larger than 62 inches. When choosing the right sized bag for travel, you should remember that once in a while you will be required to lift the bag and thus, you should make sure that you are comfortable in lifting your packed luggage. 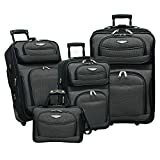 Choosing the right luggage set not only protects your clothes and documents, but it also helps to make your travel more comfortable and trouble-free. Carrying an oversized luggage can lead to inconveniences such as paying baggage fees during your travel. It is also helpful to purchase a unique bag with a bright color. Although the bright color may not match your business colors, a bright colored luggage is quick to spot on the luggage carousel. When choosing the right luggage, you should factor the functionality aspect of the luggage. You should look for features such as pouches, belts, and plastic waterproof pouch as they add to the luggage functionality.